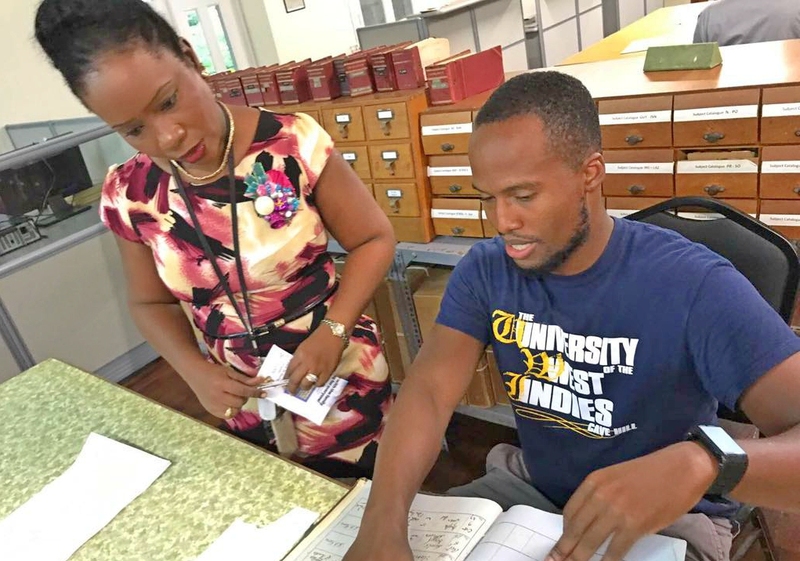 (L-R) Senior Archivist at the Barbados Department of Archives, Stacia Adams, assisting Rashaun Allen. Those were the puzzling words that first awakened Rashaun Allen's interest in his Caribbean links. That makeshift Caribbean accent and dialect by his aunt did more than enlighten him to his family's history, as it also set him on a journey across the sea to Barbados. But before we learn more about this American Fulbright Scholar's quest in Barbados, let's find out about the journey which led him here. "I went on to write two books of poetry. One is called the 'Walk Through Brooklyn' and the other one is called 'In the Moment'. While he now knew what his passion was, he realised that he had quite a bit of work to do before he perfected his work. This was especially the case since his first book signing was a great success, but the second one led him to "realise that I really had to focus on writing." Thus the final piece in Allen's degree puzzle so far, a Master of Fine Arts in Creative Writing. His mother was a second generation American of Barbadian descent. However, Allen was never able to learn about his Caribbean heritage from her, as she passed away when he was young, nor his grandmother, who died when his mother was young. Nevertheless, as he heard stories from aunts and other relatives during holiday gatherings, he "wanted to learn more about my family history" and his love for writing allowed him to do just that. 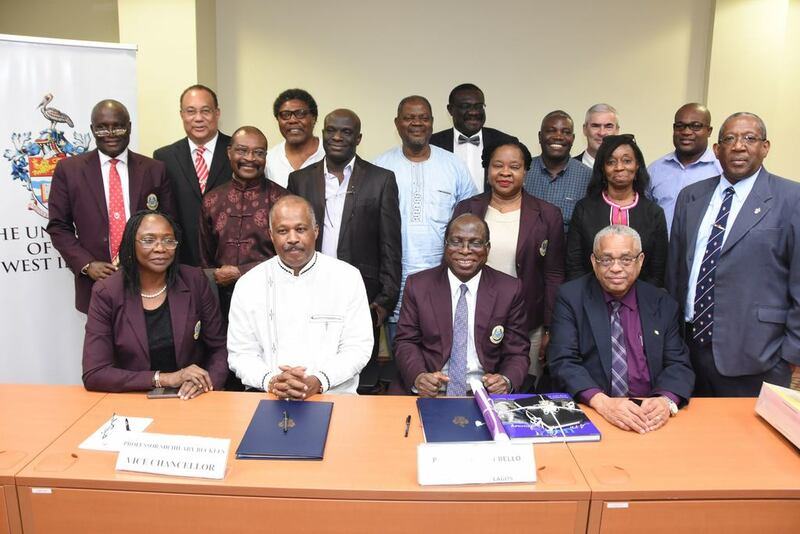 He was able to obtain a Fulbright Scholarship to conduct research at the University of West Indies Cave Hill Campus, as he seeks to unearth his family history and go generations back into his lineage. And so his journey to merge his love of writing and desire to discover his heritage began. 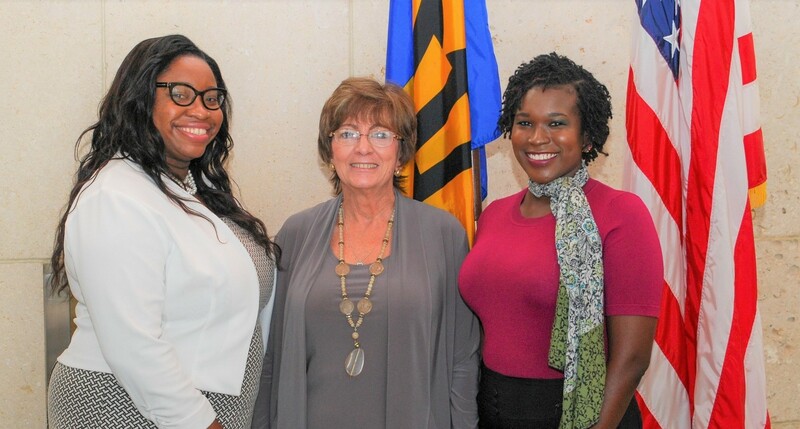 Allen has been in Barbados since August 2017 researching and has already made great strides. How has he been finding information on his mother's mother's mother? Sounds confusing - we'll clear it up for you. His great-grandmother, Irene De Peiza - who later became Irene Trumpet through marriage - was born and raised in Barbados before migrating to New York. "And as you may know they are lots of De Peizas here," he said with excitement. "So that was really the idea, to come here and look into the surname of my great-grandmother - the De Peiza side and then she also has a Francis side." "I look at baptismal records, search through marriage certificates and then death certificates. As I would go and get better at the process, the questions that I would ask became different, so I was able to draw different bits of information." "Thus far there have been roadblocks to try to find more on the Francis side... But as far as my great-grandmother's father, Charles De Peiza, I was able to identify him. "So I've been following that family, his siblings, dig into his parents and go on from there." "I found out that my great-grandmother was from St. James - specifically she was from Mount Standfast, St James. "Her parents were from there as well, and my third-great-grandfather is from there as well." "I've read about it - I know the history that somebody named Stanfast had quote-unquote 'bought' that place, and I also know that it is a plantation... I think they are still De Peizas that live in that area today. One goal would be to see how, if they are related to me - that would be amazing!" "I went to the directory and I just looked at persons to call," something which he stressed he "was nervous about. "The reason being, in the States if someone is randomly calling you, you have your guard up, you think someone is trying to take advantage of you. And the premise on which I am calling is pretty much to speak to older relatives, because they would hold more of the family history than the younger ones. So calling and asking, 'is your grandmother available, your oldest uncle available'? So I was really nervous about it." "I finally called and I told them that my great-grandmother was from Mount Standfast and essentially I just did that through the whole list. Some people were willing to talk and some people walked me off the phone - I got a range of reactions. "Fully enough, some people were like, 'there's a big batch of De Peizas in St Lucy and St James and we just kinda understand that the De Peizas are family'". While he is proud to have built up the courage to call these various persons, he was not able to get any concrete links between their family lines and his - thus his search to find living members of his Barbadian family continues and "any opportunity to sort of bridge that gap would be amazing," he stressed. "Ideally my goal is to write a memoir about my year-long journey in Barbados and how I've grown and what I was able to discover about my family tree. "And the vision is to sort of inspire families or people to want to dig into their family tree." If you can assist him as he treks through his Barbadian heritage, connect with him on his page RashaunJAllen.